Though there have been many great players in the history of chess, only a select few have been honored to hold the title of World Champion of Chess. The concept of a world chess champion started to emerge in the first half of the 19th century, and the phrase "world champion" first appeared in 1845. Since then, there have been a number of chess masters to claim the title, officially and unofficially, but for the purpose of this article, we'll address only those officially recognized as World Chess Champions. However, it's also worth noting that there were several unofficial champions previous to 1886 when the World Chess Championship first occurred, such as Paul Morphy. The World Chess Championship (sometimes abbreviated WCC) is played to determine the World Champion in chess, and until 1948 world championship contests were matches arranged privately between the players where the champion set the terms, requiring any challenger to raise a sizable stake and defeat the champion in order to claim the title. From 1948 to 1993, the championship was administered by the World Chess Federation (FIDE), but in 1993, the reigning champion Garry Kasparov broke away from FIDE, which led to the creation of the rival PCA championship. The titles were unified at the World Chess Championship 2006. Current world champion Magnus Carlsen won the World Chess Championship 2013 against Viswanathan Anand and successfully defended his title against Anand in the World Chess Championship 2014 and against Sergey Karjakin in 2016; Carlsen is set to defend his title again in the World Chess Championship in November of 2018. Other separate events and titles are the Women's World Chess Championship, the World Junior Chess Championship (for players under 20 years of age), the World Senior Chess Championship (for men above 60 years of age, and women above 50), and the World Computer Chess Championship, which is the only event in which computers may participate. The classical line of World Chess Champions began with Wilhelm Steinitz's defeat of Johannes Zukertort in their 1886 match. Since that time, the World Championship has typically been contested in a match between the current champion and a challenger, though tournaments have been used on occasion for various reasons. When Garry Kasparov split with the World Chess Federation (FIDE) and organized his 1993 World Championship match with Nigel Short, FIDE declared that they still controlled the World Championship title and staged their own championships. While the FIDE title did not carry the prestige of the classical World Championship, these players are still worth noting for their historical impact on the game. 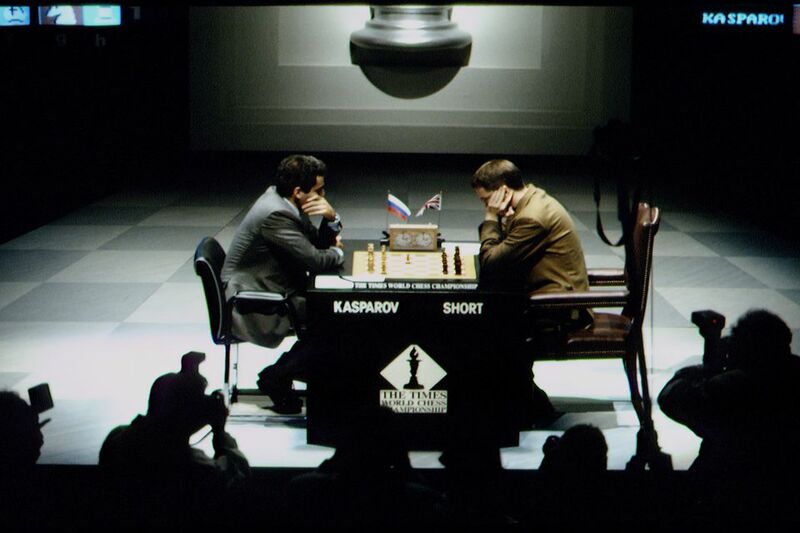 In 2006, the two titles were united when Classical World Champion Vladimir Kramnik defeated FIDE Champion Veselin Topalov in a reunification match.